Sometimes I’m overwhelmed by all the books I haven’t read. Really, the enormity of it is astounding. I just got part of my annual birthday haul, and after rubbing the covers and reading all the front and back matter and stacking them up with their spines perfectly aligned and staring at them, as is my ritual, I had a panic attack about when I’d be able to read them all. And there are more coming! I understand it’s a good problem to have. But how I long for a full day of lounging in the sun with a book! Alas, for now I must make do with stolen moments in the wee hours as I watch, from the corner of my eye, the pile of unread books getting higher and higher. I’ll get to them. I will. Lee has contributed quite a few gems to my book pile, though happily, poetry books don’t go unread around here. The novels may be moldering in the corner, but the poetry collections are blissfully dust-free and dogeared. Exploring further, I soon discovered that there was a whole alternate universe made up of Lee Bennett Hopkins poetry books, a vast galaxy of poems about everything in the…well, the galaxy! It was about this time that I also discovered there were such things as poems about math and science (I told you I had a lot of catching up to do). And that they could be beautiful, like these jewels in Marvelous Math , so richly illustrated by Karen Barbour. And from that point, Lee’s books became a crash course in children’s literature for me, a personal who’s who, leading me to the works of wonderful, new-to-me poets like Rebecca Kai Dotlich, Alice Schertle, Amy Ludwig VanDerwater, David McCord, Karla Kuskin, X.J. Kennedy, Janet Wong, and hundreds of others. Which, in turn, contributed to my ominous pile of books. And the list of goodness goes on and on. Given the diverse range of topics, it’s easy to glean that Lee started his career as an elementary teacher, and even easier to see how his books are a perfect fit for teachers of any subject. From a writer’s standpoint, reading any one of these collections is like taking a master class in craft from all the best children’s writers. It’s been an enlightening journey getting to know Lee and his enduring work. His passion and dedication to children’s literature is a true inspiration to teachers, writers, and kids. What gifts he’s given us! I first invited Lee for an interview last April, after which we spent a good long time getting his Skype and webcam up and running. Or rather, he did that while I elbowed him from the sidelines. We were both greatly relieved when Lee’s first Skype interview ever went off without a hitch! Thank you for your patience, Lee! I have provided a fairly accurate and slightly abridged transcript of the video below, including time stamps so you can find your way around more easily. However, if you want to feel the full force of Lee’s boyish charm, watch the video. Lee, I have to start by asking you the same question I ask every poet: just how long have you been a rhyming fool? 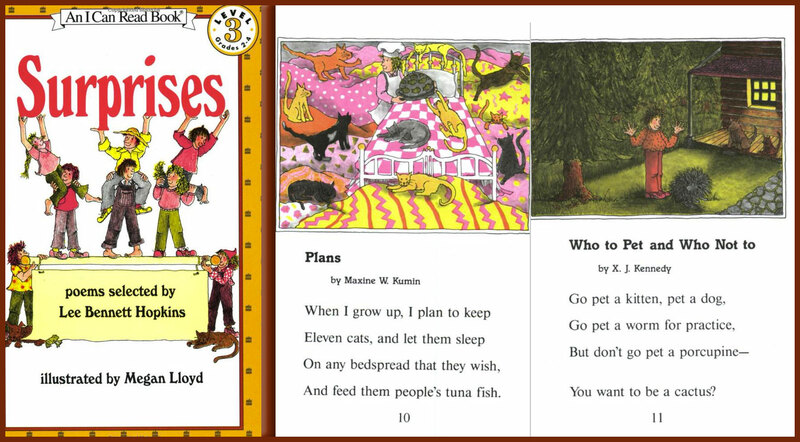 I don’t know if you’d call me a rhyming fool, but poetry came into my life when I began teaching elementary school. I started my career as a sixth-grade teacher in New Jersey and I found that poetry worked. Poems are usually short, vocabulary is simple, and often I maintain that more can be said about life and love in eight or ten or twelve lines than in an entire novel. It worked with my students and I just fell in love with the genre. Did you write poems as a child, or did you really write your first poem after you had become a teacher? I came from a very poor family and grew up in the projects in Newark, NJ, so survival was more important than reading. Poetry was not part of my life at all until I became a teacher and discovered its merits. I adore anthologies and am very interested in how one becomes an anthologist. When and how did you make the move from “solo” poet to anthologist? And why, given that your solo career was going so well! Doing anthologies is fascinating because you can take the best of the best of the best. In any poet’s single collection, there’s wonderful stuff and there’s okay stuff. I found mining for the best pieces and putting them together, particularly in an anthology with different voices, gives it such a rich look. In most of my anthologies, there’s a beginning, a middle, and an end, so that hopefully when a child or adult picks up the collection, they’ll read it as a book and not just a series of isolated poems. And I think that’s the trick, meshing the poetry. Often in my anthologies, the last line of a poem will reflect the title of the next poem. It’s a thing that I’ve developed that I just find fascinating. So you really study how each poem can fit together. Given that process, how long does it take you to put a collection together? You must have to go through a lot of poems to make that happen. Yes, for a collection of sixteen to eighteen poems, I may read several thousand, easily. Depending on the collection – some of them are sixteen poems, some are sixty poems – the longer ones, like the ones I did for Simon & Schuster (My America: A Poetry Atlas of the United States , Hand in Hand: An American History through Poetry , America at War: Poems Selected by Lee Bennett Hopkins ), took me four years for each one. Again, I work on different projects at the same time, so I’m not focused on one book for four years, but I am back and forth on them for that long a time. These anthologies take yonks to put together, yet you’ve produced 120 of them. So altogether, you’ve spent hundreds of years working on them! Do you have any favorites among your own anthologies? That’s like asking if you have a favorite child! Each book comes with a different set of emotions. But I will go back to one of my true favorites, a book called Surprises (I Can Read Book 3) , which was the first I Can Read poetry book. I have wonderful memories of it because it was done with Charlotte Zolotow, who was my brilliant editor at Harper Collins. One day we were having lunch in New York, and I said, “Charlotte, the I Can Read series has been out since the 1950s when Maurice Sendak and Else Minarik did Little Bear , and there has never been an I Can Read book of poetry.” Charlotte dropped a fork on the floor of the restaurant and said, “Oh. My. God. Do it.” And I thought, this is going to be a knockout. The book took over two years. Each poem in an I Can Read book can only have 36 characters per line, including punctuation and spaces. (…) The I Can Read books are very difficult to do, but I love them. Surprises was done in 1984 and it’s still in print and still a big seller. Are most of your books in print or out of print? I wouldn’t know, I don’t keep track. I’m always on to tomorrow! But unfortunately, many books go out of print. Publishing is a business, and all writers should know that. It’s not a game for sissies. Do you prefer compiling anthologies to creating your own collections? 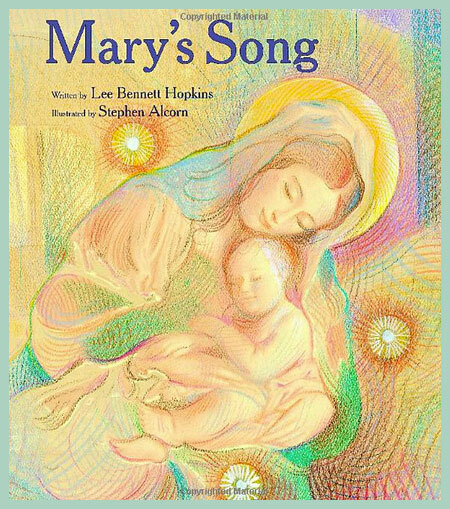 You recently came out with your own collection, Mary’s Song , but your next release is another anthology. I love doing both. I love being eclectic, to do what I want to do when I want to do it. Frankly, I don’t know how I do it or why I do it, but I just like to go where I feel the muse wants to take me. It’s a strange muse! How does it work? When a topic really captures you, how do you decide whether to approach it as a collection that you write or an anthology that you edit? Well, writing your own collection is more difficult. I should be doing more of it – a LOT more of it – but I love working with poets. And there’s a difference in anthologies today as opposed to yesteryear’s. Yesteryear’s publishers wanted anthologies that were by only known poets, so you had to include Sandburg, Frost, Gwendolyn Brooks, Hughes. The mode today is “new,” and I am doing a lot of collections with brand-new work, although I have found a method of meshing old and new, which we’ll get to later when we talk about my new collection. But I am doing things like coupling J. Patrick Lewis with Lewis Carroll and Walt Whitman with a new poet, so I’m doing a great deal of meshing and it’s very exciting. It’s certainly encouraging to hear that publishers are interested in anthologies that include new poets, especially since many of the readers of my blog are new poets. You mentioned that you also put new poets in your books, but how do you find this “new talent”? Do you stalk blogs? Get recommendations? Word of mouth? All of the above. I do read a lot of the blogs. I love Poetry Friday – I’m a Poetry Friday freak. I can’t wait for Friday. I have met new poets via the blogs, and I do get a lot of recommendations. Established poets will ask me to read work by so-and-so, and I do. I do an awful lot of reading of poets who are not published. And often I find them and it’s the first time they’re published. So with all these projects you have going on, do you ever still get rejections from publishers, or is it smooth sailing for you? (abridged) Of course! What writer doesn’t? And they’re always wrong. (…) I have had projects rejected, and a year later, I submit the same project to the same editor and they get very excited about it. It’s sneaky and secretive! But no one is immune to rejection. If you believe in a manuscript, I maintain that it’s better in the mail than in your desk. Keep sending it out. 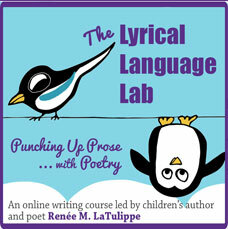 What are your main criteria for a good children’s poem? As for the poems I select, I simply call it the “ooh” factor. If I read a poem and I go “ooh,” then I love it. It has to knock me out. What is it that makes you go “ooh”? It’s craft, and more so honesty and truth. Genuine. The writer gets it. It’s an emotion, something that hits you like a ton of bricks. Like Langston Hughes with “Dreams”: it’s only eight lines but it gives you enough to think about for the rest of your life. “When dreams die, life is a broken-winged bird that cannot fly” – I mean, that’s craft, it’s honesty, it’s tough, and it’s poetry. In a recent post about great books on writing poetry, April Halprin Wayland mentioned that Myra Cohn Livingston had been her mentor, as well as that of a big list of wonderful poets. How important is mentoring for new children’s poets? How does one go about forming such a relationship? (abridged) Well, first of all, Myra and I were the best of friends. (…) I maintain that she is one of the best poets of twentieth-century America. Not only that, Myra was a scholar, she was passionate about poetry, and since her death, I don’t think there’s another person in the United States who knows more about poetry than she did. She was very, very tough, but very, very giving. When she taught her courses at UCLA, which did produce people like Janet Wong, Kristine O’Connell George, April Wayland, Joan Bransfield Graham, and on and on and on, Myra was a tough critic and took very little that wasn’t good. Myra was one who would reach out and mentor people. I think it’s very important. There aren’t many who do it, because they can’t. It’s time-consuming, it’s rewarding yet unrewarding, but I have taken people under my wing, and I have started poets on their careers, and they’ve soared. I think it’s something that I want to give back to the poetry community. But there are many new poets who don’t take the advice, they don’t listen, they think they know more than you do. (…) I know poetry backwards and forwards. I don’t think a lot of the new people writing go into the depth to analyze some of what’s been written. (…) Myra Cohn Livingston, Eve Merriam, Karla Kuskin – these were geniuses. And I think if you don’t know the history, I don’t know where new poets want to go with a lot of stuff that’s being written now that’s…pretty cruddy. 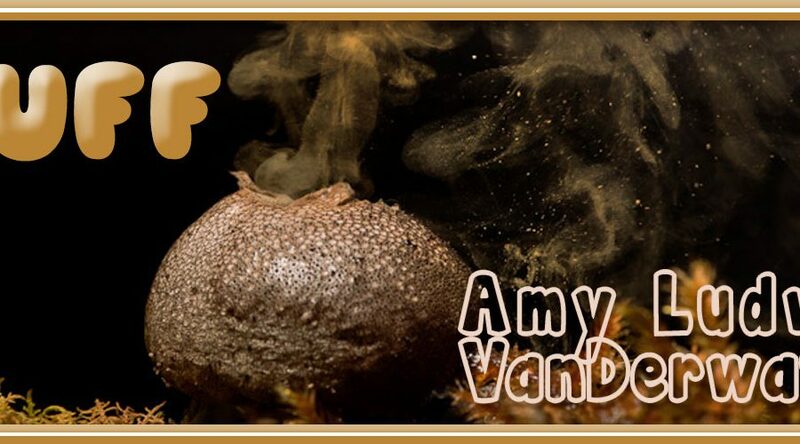 But then a book will come along like Amy Ludwig VanDerwater’s new book Forest Has a Song , which we did work on together, and I think it’s true poetry. It’s a beautiful book of poems. Kate Coombs recently did Water Sings Blue , which just won the Lee Bennett Hopkins Poetry Award. (…) I published both Amy and Kate in anthologies long before they did their own collections, so I do believe it’s partly my job to mentor, and I think it’s important. But there aren’t enough of us. No. I did it through reading. If it was anyone, it was people like Langston Hughes, whom I adore, and Carl Sandburg. These were poets who spoke to me, to my lower-class existence, my poverty childhood. They addressed hardships, but always with hope. I think I learned a great deal from reading that kind of material. And then progressing and getting to meet all the major poets in America. Eve Merriam, Karla Kuskin, Myra, David McCord – these were my friends. Knowing them and reading their work brings a whole new dimension. (…) Also educators (…), dynamic women who were dedicated, who knew what they were doing – again, it was the dedication. I don’t see that as much. Not learning, but transporting knowledge back to students, imparting their knowledge. They weren’t selfish; they were giving. I think it’s so important that we all do that. There’s too much me, me, me, and not enough reaching out to help others. I think it’s a very important thing for us to do. Along those lines, one of the questions the Poetry Friday bloggers sent was which out-of-print children’s poetry books do you think everyone should own? (abridged) Look at the winners of the NCTE award: David McCord, Aileen Fisher, Karla Kuskin, Eve Merriam, Myra Cohn Livingston, and so on. I would definitely start a library with those books. And they should be not only part of your library but part of your learning. 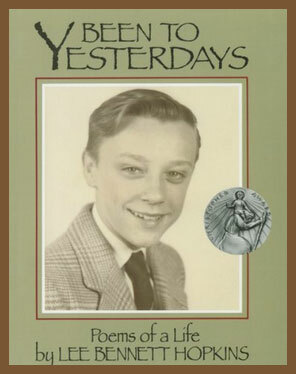 Your autobiographical poetry book, Been to Yesterdays: Poems of a Life, was published by Boyds Mills Press in 1995, almost 15 years ago. You’ve done so much since then – is there a sequel in the works? There will be no sequel to that book. Actually, now it would probably be a bestseller. My teenage years were in turmoil. I had a single-parent mother. It wasn’t easy growing up. But it was a wonderful childhood in many ways. We learned. We were streetwise. 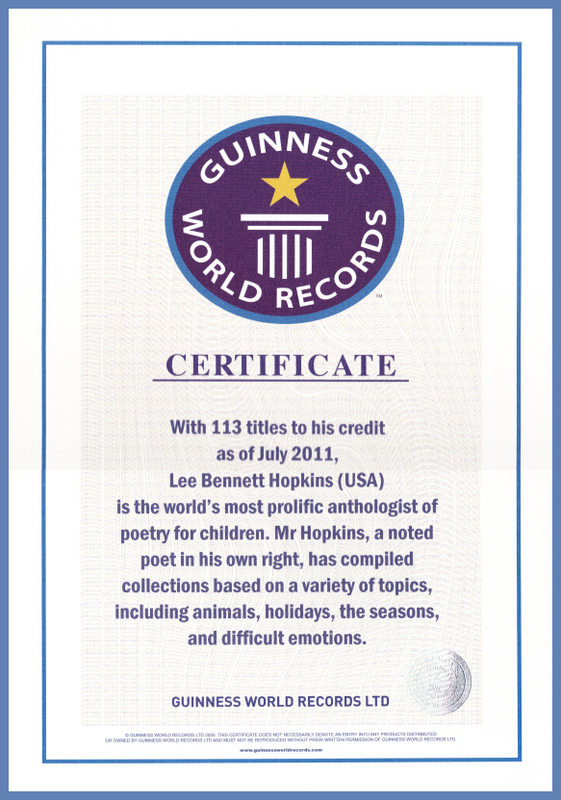 You have an incredible record for writing and publishing children’s books–poetry, novels, nonfiction—and have won every award available in children’s poetry, including the Guinness World Record for most anthologies. Of all your achievements and accolades, what one thing are you most proud of? Actually, I’m proud of them all, but I was very, very proud to be honored with the NCTE poetry award because that’s awarded to a poet for his aggregate body of work, and I’ve been active with NCTE all my life. (…) That was a tremendous honor. Guinness was a total shock. It was all due to Sylvia Vardell and one of her doctoral students, who initiated this and saw it through. I had nothing to do with it. It was a thrill and an honor. Is there anything you’ve wanted to do that you haven’t been able to achieve? Speaking of awards, this year is the 20th anniversary of the Lee Bennett Hopkins Poetry Award. It isn’t every day that someone establishes a poetry award, and you’ve established two of them. How did that come about, and why? Then down the line, being active with International Reading Association (IRA), I thought it would be fine to do another award honoring a promising poet. This is given to a poet who has done no more than two books of poetry. Just this week it was given to Guadalupe Garcia McCall for Under the Mesquite . There aren’t that many awards for poetry. I think it’s a shame that the American Library Association has never established one and they won’t budge. It shocks me. (…) They’ve given no reason. I’ve been after them for decades, as have other educators. I’d like to talk about your new project, All the World’s a Stage, coming out August 2013. Obviously I’m intrigued given my background, so what’s it all about? Who is more brilliant than William Shakespeare? It’s actually being illustrated as a stage production. So is this something that could be adapted to performance? Because poetry out loud is vital. Has this ever been done? Absolutely it could be adapted. I don’t think there’s been an anthology for performance…why don’t you get on that, Renee? It’s really a remarkable concept – it brings every emotion, love, war, teenage angst – everything is in this book. For each stage, the lines from Shakespeare are printed, followed by three poems. I think they should be performed. I never thought of it. Thank you! I decided to write a haiku instead. Lee, thank you so much for sharing your stories and thoughts with us. You have been so generous with your time and I really appreciate it. Thank you also for contributing your poem “Good Books, Good Times!” to the video library! See a list of Lee’s favorite selected titles on his website or all Lee’s books on Amazon. Lee’s poem “Good Books, Good Times!” is a list poem. Have students choose a favorite object, pastime, or person and make a list of everything s/he likes about that subject. Then craft the list into a poem. It doesn’t have to rhyme! Many of the poems in the books above are persona poems, or poems written from the point of view of the object or person being written about. Individually or in groups, have students choose a poem and do a dramatic reading or memorized performance. Guide them in identifying basic elements in the poem that will help their performance, such as sound devices, metaphors, sense of place, emotions, “personality” of the object, and so on. Make a quote collage. Have students write out and decorate their favorite lines and images from poems about books and create a collage with them. This could also be done as a whole-class project. 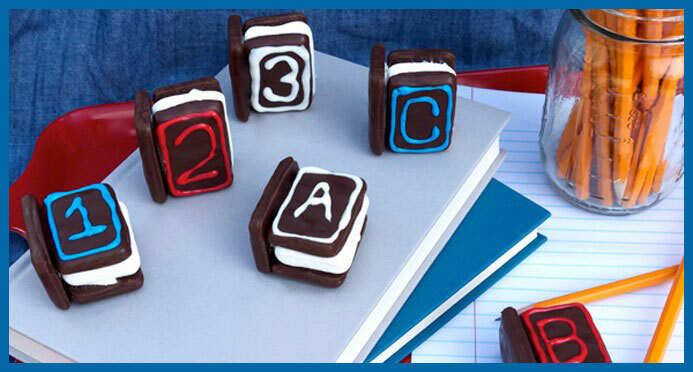 Make these easy s’more books cookies! Julie Hedlund from the Writer’s Renaissance Retreat in Florence, Italy, featuring Katie Davis, Esther Hershenhorn, and more! All poems and illustrations © the respective authors and illustrators as indicated in the graphics. All rights reserved. Thanks for a great interview, Lee and Renee. I especially enjoyed learning more about Lee’s anthology process. And getting a peek into more of his opinions/thoughts on great poetry. Awh that’s so sweet and true for me too. I can’t wait to read Water Can Be. Renee: I cannot thank you enough for the time and effort you put into this production. And a production it is! In ALL THE WORLD’S A STAGE (Creative Editions) I have Elizabeth Barrett Browning’s “Sonnet XLIII’ which begins: “How do I love thee? What a gift Lee is to all of us who love poetry. 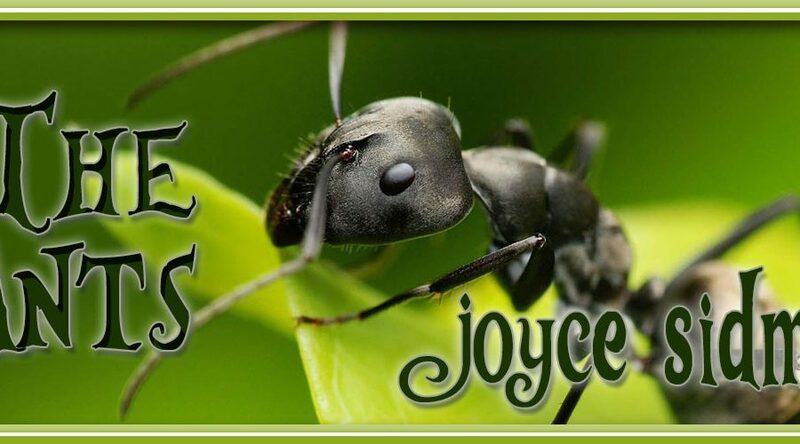 Thank you, Renee, for this richly fantastic and fantasticly rich post and interview. And thank you, Lee, for your generosity with your books and your mentoring of so many…including me. xo, a. Love your posts, Renee. Thank you and Lee for sharing this with us. So glad you enjoyed it, Miss Wendy! 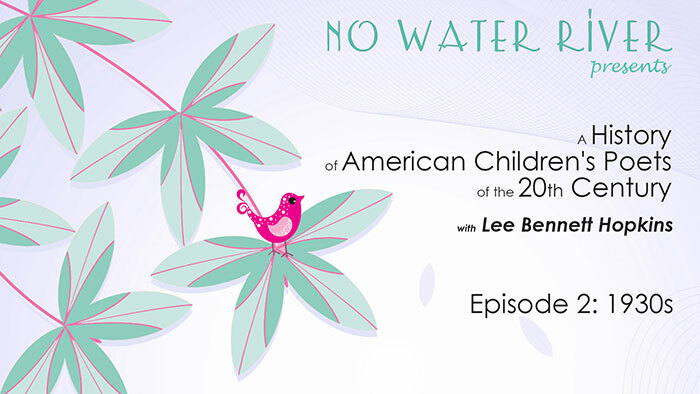 Renee and Lee, thank you so much for this wonderful interview.I do hope this will be seen/googled by many over the coming months as it is a treasure trove not just about Lee’s work, but about creating anthologies and the power of poetry in kids’ lives. Lee’s anthologies have introduced me to so many poets and poems! Also I loved GOOD BOOKS, GOOD TIMES! Exactly, Joanna! As I said, reading one of Lee’s anthology is a master class in craft. I’m so glad, too, he gave us a peek into what goes into creating them. Thank you for sharing your conversation. I read the transcript first, but so glad that I came back and watched, too! Thanks, Ed — the video does add some panache, getting to hear Lee’s voice! I’ve been looking forward to this interview all month! Thank you, Renée and Lee, for this treasure of a post and wonderful videos. Thanks so much Renee and Lee, this is magnificent. Off to the library I go. My Amazon wish list grew exponentially before/during/after this post! Oh, to have a library! set a Guinness world record! Yup, lots to learn here. I’m fascinated by the years of research and reading that goes into one of his anthologies! What a brilliant finale to National Poetry Month! Though certainly not an end to our love and pursuit of poetry. I thoroughly enjoyed the interview and the in-depth look into Lee’s books. Thank you so much to both of you! Thanks, Iza! By no means is this the end of the pursuit — it’s actually the beginning since Lee gave us so much “homework” to do! I’m really excited about that one too, Erik! Maybe you can do a production of it at your school. Glad you enjoyed it, Vikram! Thanks for this in-depth review and interview! It’s marvelous and I’m so glad we have captured a bit of Lee on camera– LIVE! He is such a fount of knowledge and such a delight! Yup, just a year with you all…but a long history of poetry. Renee! You are are a fabulous interviewer. 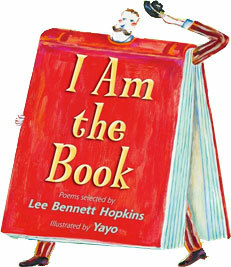 And Lee–thank you for all you’ve given the world of children’s poetry. What an explosive package–the two of you! Oh Renee thank you for finally convincing the Pied Piper of Children’s Poetry to do this interview. Lee, thanks for being your usual informative, enlightened self. Loved it!!!!!!!!! What a fabulous post and interview! We love Good Books, Good Times, but I see it’s time to add to our collection. Only 119 more to go and counting, Liz! Thank you Renee and Lee for such a rich source of poetry talk, and ideas, something for poets and teachers alike to savor. I do appreciate the ideas you’ve shared this month, & share them with colleagues too! Like Matt, I’m surprised that you’ve only been involved with children’s poetry for a year, Renee! Also, I am still puzzling over the lack of poetry awards from the American Library Association. What’s up with that? 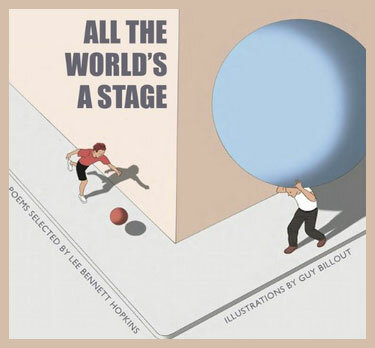 Love the cover of All the World’s a Stage! Clearly, I’m going to need to come back and watch the video. The transcript is fascinating! What a treasure!! As usual, a post stuffed with goodness! Thank you! What a wonderful post, Renee! Fascinating to learn about Lee’s anthologizing and experience his boyish charm in the video! 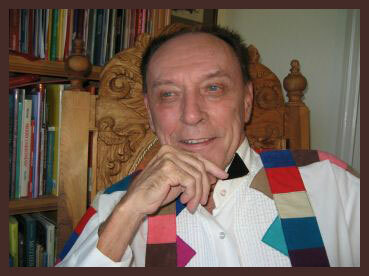 Lee – you’re one of my “book ” mentors along with Pat Lewis, Joyce Sidman and Alice Schertle.